Nuestra Palabra: Latino Writers Having Their Say airs at 100,000 watts, live, every Tuesday 6p-7p CST on 90.1 FM KPFT. Livestreams at www.KPFT.org. Select podcasts at www.NuestraPalabra.org. We have already made history. Our radio archives are maintained at the University of Houston Digital Archives. Our hard copy history is maintained at the Houston Public Library Hispanic Special Collections. Join us for our literary extravaganza celebrating our 21st anniversary. Wednesday, April 3, 2019 6:30 pm - 8:30 pm Brown Auditorium The Museum of Fine Arts Houston 1001 Bissonnet, Houston, Texas 77005 Free. Reserve your seat and support NP. Become a NP100 Member. Made possible in part through a City's Initiative Grant. Come back for updates. wNuestra Palabra is a Cultural Accelerator. We are teaming up with national literary groups to help our community. We are proud to have united with Macondo in 2018 and 2019. This is the writers group founded by writer Sandra Cisneros around her kitchen table in 1995. We are proud to create and maintain the Macondo Writers Retreat website and to assist as a fiduciary sponsor and to provide long-term planning assistance. We are united. This is our time. * Several NP alums have gone on to great careers in writing. Some have even cultivated their own proteges for the NP 3rd Generation: - Russell Contreras is now a reporter for the Associated Press; - Alvaro Saar Rios is a professor and his plays have been produced nation-wide; - Poet Carolina Monsivais is completing her PhD and has published 2 collections of poetry; - Journalist and poet Icess Fernandez is a Professor of English at Lone Star College-King Wood; - Lupe Mendez co-founded the Librotraficante Caravan and is founder of Tintero Proejcts; - Poet Jasmine Mendez has her 2nd book coming out in March, and there are many others. NP has cultivated 14 Latinos who have earned Master's degrees or Master of Fine Arts in Writing. This is more than the UH Creative Writing Program has created in the same amount of time. This is a key component of quantifying our community's cultural capital and inspiring writers to invest their educational capital into our community. 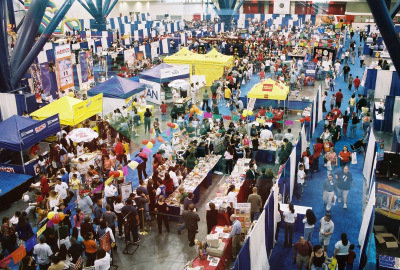 Nuestra Palabra organized and conducted the Latino Book and Family Festival 2002-2007-the largest book fair in Houston and one of the largest in Texas, drawing up to 30,000 people to the GRB Convention Center. This included cultivating over 300 volunteers. Showcasing hundreds of authors. Selling thousands of books. We proved that if mainstream systems can't sustain Latino literature, it is not because our community is not interested in it. Guess what? There is a big literary scene in Spanish in Houston. Unlike Tex-Mex food, it can be hard to find. Keep coming back to our website for updates, join our newsletter, or tune in to our radio show. 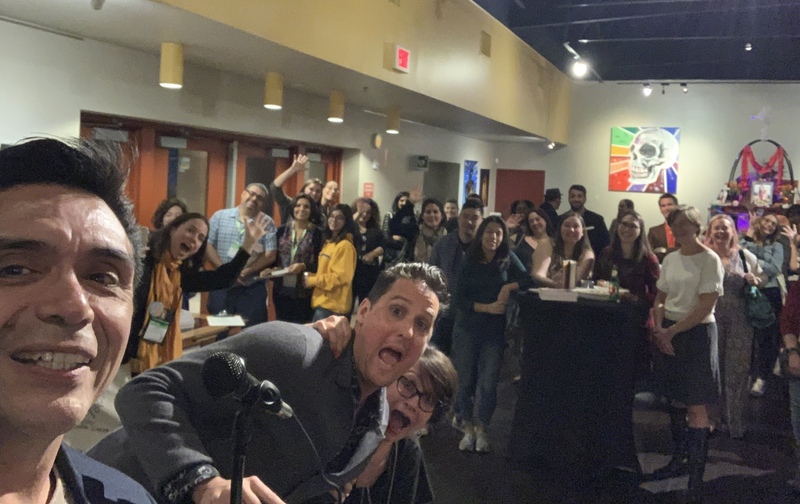 Of course, Nuestra Palabra: Latino Writers Having Their Say has presented nationally published authors and community writers in English, Spanish, and Spanglish since its inception in 1998. We are also experts in all the nuances of the Latino demographic, and work in Spanish represents part of that. 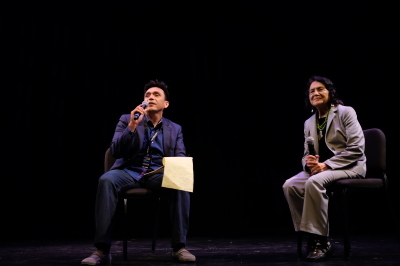 The Librotraficantes grew out of the literary non-profit Nuestra Palabra: Latino Writers Having Their Say (NP), founded in 1998 in Houston, Texas by writer, activist, and professor Tony Diaz when in 2012, Arizona enforced a ban on Mexican American studies at Tucson Unified School District, and walked into classrooms, and began boxing up books by our most beloved authors in front of our youth, during class time. The Librotraficante were the tip of the pyramid, the Community Cultural Capital cultivated by Nuestra Palabra is the base. NP's mission is to promote Latino literature and literacy. The group started with a monthly reading series that featured nationally published authors and local writers. The group grew by leaps and bounds. 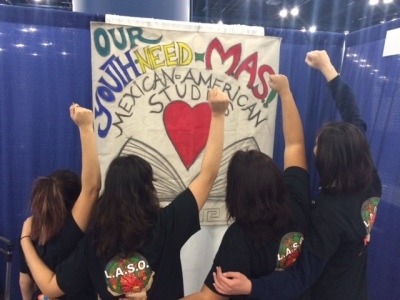 Research proves that Mexican American Studies (MAS) increases the graduation rate for our youth. This was proven in the Arizona Supreme Court. Nuestra Palabra is proud to unite with scholars, writers, educators, politicos, and our community to inspire the Texas State Board of Education to endorse MAS statewide. We are thrilled to help spread MAS. This is a vital way to invest in not only our Community's Cultural Capital, but to make sure that all Texans benefit from Ethnic Studies. 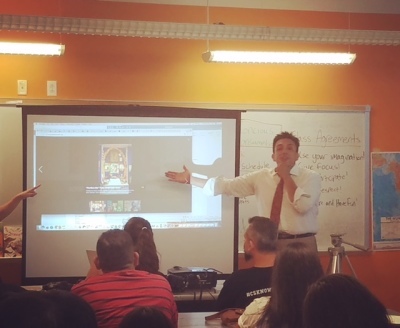 Nuestra Palabra organizes and conducts workshops for educators on how to use Latinx Literature in the classroom as well as workshops on implementing Mexican American Studies. These workshops range from one-on-one meetings to district-wide presentations. Send us a note to find out how we can help you spread our literature and culture. Workshops for Administrators: We also work with administrators to develop programs to implement Latino Literature or Mexican American Studies. This ranges from long-term planning to specific programming. We work with K-12 school districts to colleges. This year join NP founder, and public intellectual, Tony Diaz, as he organizes and conducts 5 city wide workshops to for the community on Cultural Capital. These interactive and multi-media presentations will accelerate our community's ability to spread literature and culture. Come back for the full ist of dates, times, and sites. Made possible in part from a City Initiatives Grant.